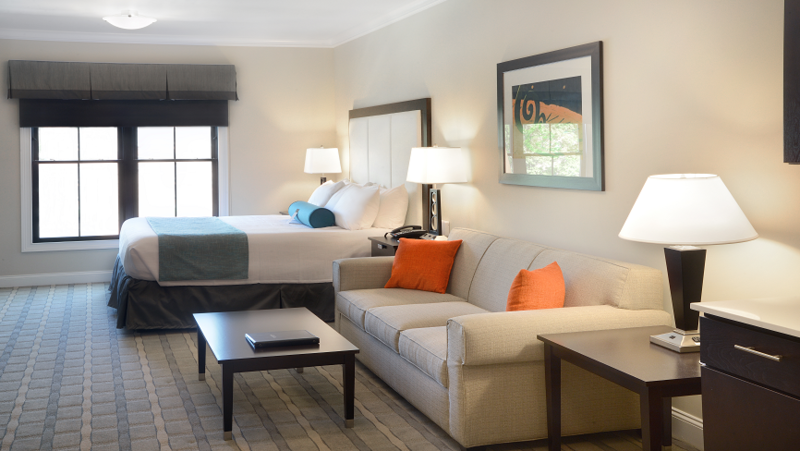 Our Signature Studio Suite is among the most spacious hotel rooms Saratoga has to offer. 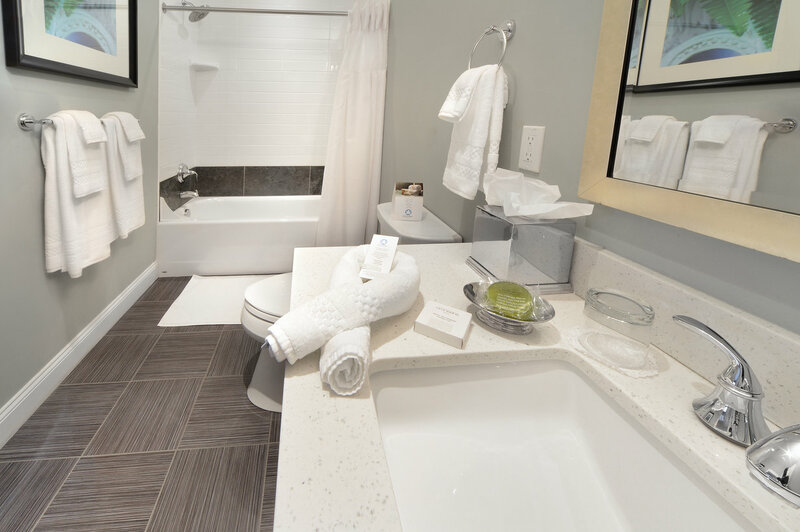 Each suite features a sleek, contemporary design punctuated with vibrant colors and plenty of perks including bright, hand-tiled bathroom as well as a plush king bed and queen-sized sleeper sofa. The Signature Studio has a full kitchen with solid surface countertops and stainless steel appliances, a washer and dryer, some with a kitchen island with pendant lighting, and everything you need to make delicious meals throughout your stay. 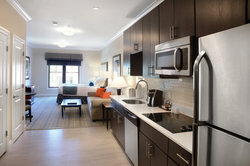 Enjoy your meals in your suite’s dining area, or kick back and relax in front of the 55” LCD TV. 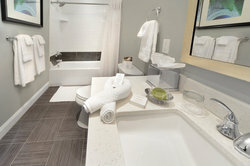 Either way, these suites make you feel at home! This marriage of sophisticated style and comfort creates an ideal home base in Saratoga Springs to wind down after an exciting day.